Home Universities BPSMV Result 2018 – 19 – Released! BPSMV Result 2018 – 19 – Released! BPSMV Result 2018 of Entrance Test has been declared by Bhagat Phool Singh Mahila Vishwavidyalaya on its official website. Candidates who appearred in the entrance test as per schedule can now able to check the result of Entrance test. Course wise schedule of entrance test is given below. Merit list has been declared for each course after the entrance test. Get here complete details of BPSMV Result 2018 – 19. 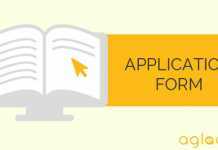 Latest: List of Shortlisted candidates to submit research proposal for admission to Ph.D. in English has been released, check the same from the link provided below. Course wise Entrance Test Schedule for BPSMV Admission 2018 – 19 is given below. Direct link to check the Result link has been provided here. Click Here to check the Merit List for all UG/PG Courses (where entrance is not applicable). Click Here to check the Entrance Test Result/Merit list (where entrance test was held). Result / Merit List of candidates for Entrance & Non-Entrance based courses is released by Bhagat Phool Singh Mahila Vishwavidyalaya on its official website. Candidates can check the merit list from the official website OR through the direct link provided above by clicking on the respective links. If you have any query regarding BPSMV Result 2017 – 18, please ask in comments below.